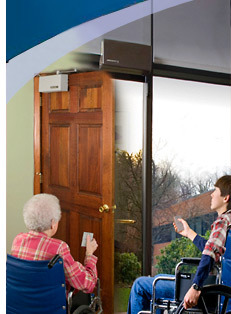 For over thirty years, Power Access has manufactured automatic door openers and related door controls to help those handicapped and others who need assistance through doors with side hinges. To date, many thousands of Power Access door openers have been built and installed throughout the USA and Canada. Wheelchair and scooter users are now able to open their doors to independence with ease and economy. 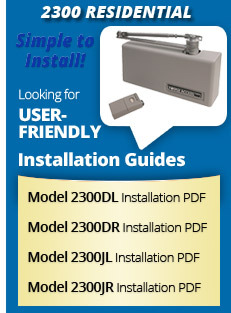 Installation of a Power Access automatic door opener unit is usually quite simple. However, an extensive network of dealers who are familiar with the Power Access door opener is also available to select the proper unit for the application, install it and back it up with service, if needed.